While Steveston has always drawn visitors for its charming shops, seafood restaurants, the Gulf of Georgia Cannery, and Fisherman’s Wharf, fans of Once Upon a Time are now discovering and visiting Steveston to experience a bit of the fairy tale themselves. 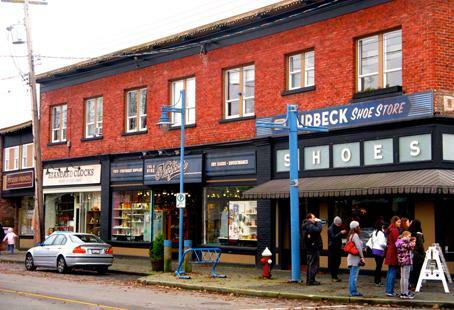 While the show’s filming schedule is not released to the public, fans and visitors to Steveston will enjoy strolling the streets and perusing the shops that make this village so fantastic. 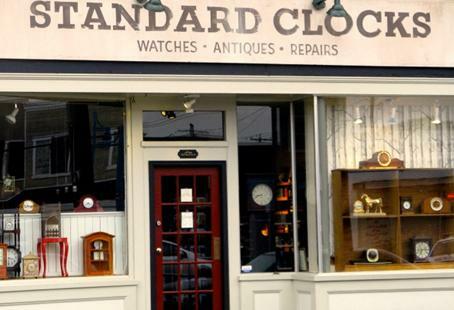 Here are 10 things to do on your visit to Storybrooke/Steveston. Located on the north side of Moncton Street just past the intersection at No. 1 Road, Shirley and her staff at The Candy Dish have created the Storybrooke/Steveston Self-Guided Walking Tour. Visitors can pick up a map with a donation of $2; all proceeds go to the local Richmond Food Bank. With information on the show, cast and characters, and notable filming locations in and around Steveston, it is a handy companion to have. But don’t leave without first picking up some delicious homemade fudge. 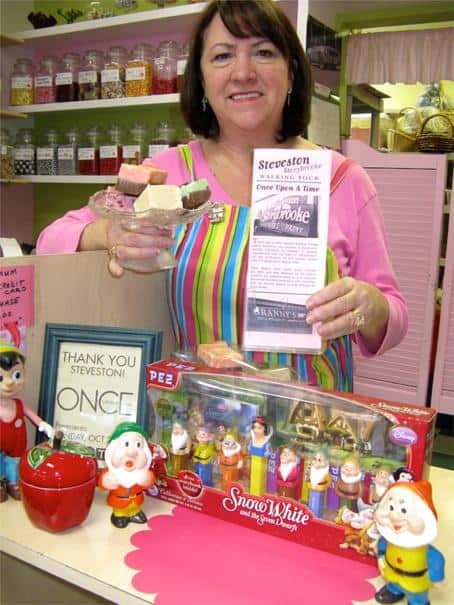 Shirley has even created a “Snow White” fudge that Snow herself (Ginnifer Goodwin) has eaten. Delectable old-fashioned candies, salt water taffy, locally made chocolate and an impressive collection of Pez dispensers are also offered here. Sweet tooths can also be satisfied with a visit to Outpost Mini Donuts, where cast and crew have been known to pop in for some delicious treats. The maple mini donuts are heavenly! If you are a cupcake fan, don’t miss Bell’s Bake Shop, located off Moncton on First Avenue. Opened in 2010 by Jennifer Bell, this bakeshop has a retro feel and a colourful array of cupcakes to tempt anyone’s taste buds. Vegan and gluten-free options are also available. 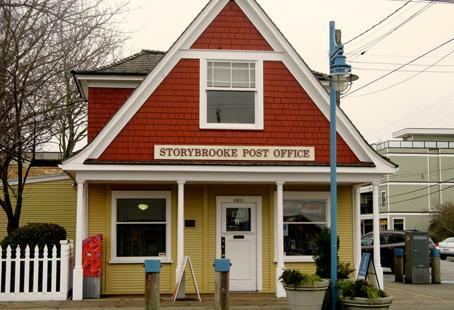 The Steveston Post Office and Visitor’s Centre also doubles as the Storybrooke Post Office for the shooting of Once Upon A Time. Built in 1905, the building originally functioned as Richmond’s first bank. Step inside and make use of the Visitor Information Centre and check out the small museum celebrating Steveston’s rich history; helpful staff are on hand to answer any questions you might have. Postcards of Steveston and gift books are also available for purchase. History buffs will also enjoy exploring the Gulf of Georgia Cannery National Historic Site located at the west end of Moncton Street. The Cannery hosts numerous events, including the Steveston Winter Farmers’ and Artisans’ Market, which runs every second Sunday until April. The market is a smaller scale version of the outdoor summer market, only inside the Cannery. Live music is often featured along with delicious food offerings and beautiful handmade arts and crafts. Cruise down Moncton Street and stop in at one of Steveston’s diverse eateries. 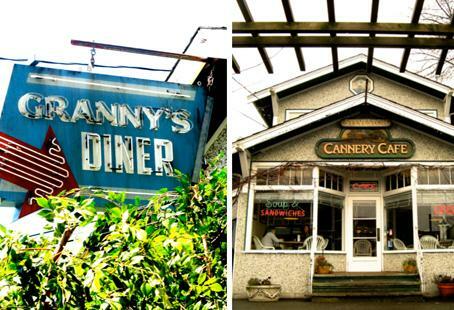 The Cannery Cafe is a popular breakfast and lunch spot for locals and visitors alike. Fans of Once Upon a Time will recognize the outside of the building as “Granny’s Diner”. The menu features hot lunch entrees and fresh sandwiches, but many come for the hearty breakfast plates. Try the savoury bacon waffle or traditional full breakfast. If you have a hankering for some old-fashioned fish & chips, check out Dave’s Fish & Chips, located just across the street. Salmon, halibut, cod, and shrimp are all available and take-out is also an option. 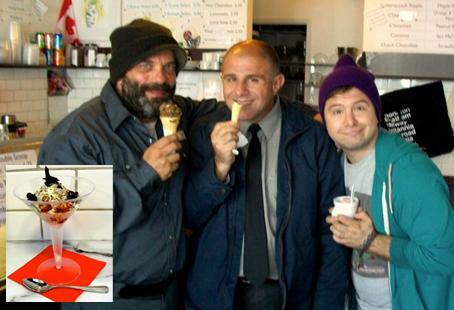 Fans of the show will note that scenes featuring Hook and Smee from Once Upon a Time have been filmed on the restaurant’s roof. If wine, cheese, and charcuterie are more to your tastes, then look no further than Steveston’s chic Gudrun Tasting Room. Open from 5:30pm - 12am from Tuesday to Saturday, this little gem is located at 3500 Moncton Street. Tucked away back from the sidewalk on the south side of the street, Gudrun has a great atmosphere and a cozy courtyard for warmer nights. Featuring a daily fresh sheet, Gudrun is the perfect place for sharing some plates with friends (try the fondue!) and will leave you wanting to come back for more. Take home a piece of Steveston from one of the many unique gift stores lining Moncton Street. Nikaido Gifts, which transforms into Standard Clocks for the filming of Once Upon a Time, features a wide selection of teas, including a unique Steveston blend. Nikaido also boasts an impressive teapot, card, and stationery collection. Pieces is another stylish gift shop that sells a large selection of Canadian-made items, from furniture and household decor to body lotion and jewellery. 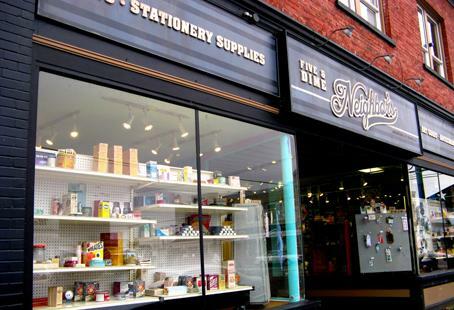 With a vintage and nautical feel, Pieces is a delightful store full of treasures. Fans of Once Upon a Time will know this store as Purbeck Shoes. Steveston has no shortage of coffee shops, from the familiar establishments like Starbucks and Blenz, to Rocanini Coffee Roasters and Bean & Beyond Café. 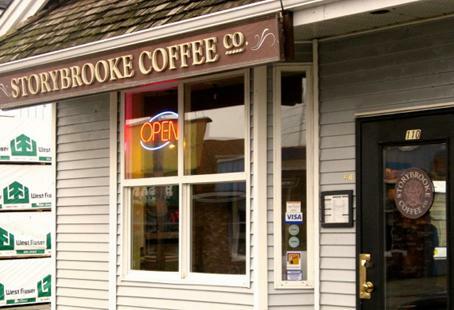 The Steveston Coffee Company, located at the west end of Moncton Street, transforms into Storybrooke Coffee Company for filming. Cast and crew from Once Upon a Time have been seen here warming up with a cup of java. Consider stopping by to pick up a bag of organic, locally roasted Steveston Blend coffee. Juvelisto, located in the heart of Steveston and next to Mr. Gold’s Pawn Shop, is where you can find one-of-a-kind jewellery pieces created by goldsmith and jewellery designer, Sasha Shkolnik. Her shop is full of beautifully crafted, eye-catching pieces and she can also work with customers to design custom jewellery as well. Other local designers are also featured at Juvelisto, including Leanne Guthrie’s LeaFloria Jewellery Creations line. Guthrie’s sterling silver ‘Evil Queen Ring’, inspired by Once Upon a Time’s Evil Queen Regina, will be available to purchase in store soon, but is currently made to order. Featuring a black onyx stone, one side of the ring has an apple with a bite out of it and the other side has the broken/ripped out heart, while ‘droplets of poison’ embellish the bottom half of the ring shank. 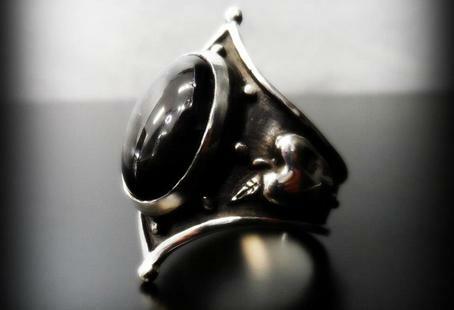 The actor who plays the Evil Queen, Lana Parilla, was personally gifted a very similar version of this ring. If you have children in your life or are just a kid at heart, you have to visit Splash Toy Shop, which becomes Neighbour’s Five & Dime for filming. Take a peek at its Once Upon a Time-themed window display and check out its excellent selection of toys and games. If you’re looking for fairytale merchandise, it carries princess and pirate costumes—a sure hit with the little ones who will be imagining a fairytale world of their own. Occasionally it stocks yellow VW bugs like the one in the show, but it sells out fast! For expectant mothers or parents of young children, Steveston Village Maternity offers a great selection of clothes, baby gear, books, and gifts for little ones. Pick up some sparkly princess shoes or a special outfit for your own prince or princess. If the kids need to burn off some of their energy, head on down to the Steveston playground and waterpark at the corner of Moncton Street and No. 1 Road. With its nautical theme, your little ones can imagine being Captain Hook aboard the Jolly Roger. Want to try uniquely flavoured ice cream inspired by characters from Once Upon a Time? Look no further than Sarah’s Old Fashioned Ice Cream, located steps away from Mr. Gold’s Pawn Shop in Steveston. With input from the actors themselves, Kate Badenhorst has created a cast of dreamy ice cream flavours intended to reflect the personality traits of the characters from the hit TV show. For example, her popular Snow White flavour uses either cheesecake or white chocolate to represent Snow’s fair skin, raspberry sorbet for her red lips, and dark chocolate stracciatella for her raven hair. 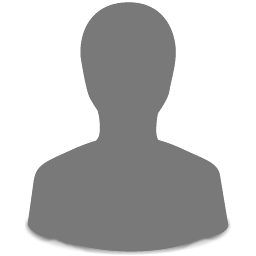 Check out its website for a full list of flavours. Beginning in March, Sarah’s will be offering ice cream tasting events. Come experience favourites like Grumpy’s Road and Mr. Gold, along with new flavours Badenhorst is currently working on including Captain Hook, the Huntsman, and the rest of the dwarves. While Badenhorst always tries to have the Royal Family (Snow White, Prince Charming, Henry and Emma) in stock, there are usually up to 6 other character flavours in stock at a time. Also, with 24 hours notice, requests for certain flavours can be accommodated. Consider renting a bike or taking a stroll down the boardwalk to visit the Britannia Shipyards National Historic Site. Many of the buildings at the shipyards date back to the late 1800s and others are authentic representations of a community that included canneries, boatyards, residences, and stores. While winter hours are limited (Saturdays 10-4, and Sundays 12-4), it is still worth a visit to catch a glimpse of what life was like in this small fishing village. Currently, a wooden replica used for filming Captain Hook’s (Colin O’Donoghue) scenes in Once Upon a Time is docked here. It is not a sea-worthy vessel, and is essentially only half of a boat, only used to film certain angles. 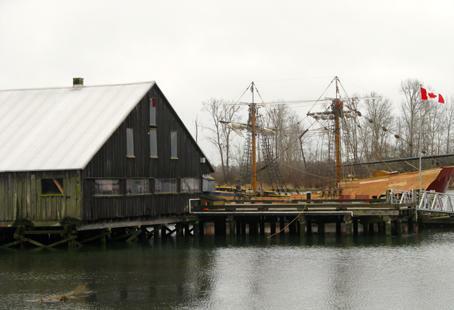 In fact, The Lady Washington, a tall ship that has visited Steveston before for the Richmond Ships to Shore Festival, was used to film scenes of Captain Hook for Once Upon a Time. Continue walking or cycling to connect with the city’s extensive dyke trail system, or head back west to visit Garry Point Park, a beautiful spot to fly a kite, enjoy some fish and chips, or just watch the sunset from the beach. 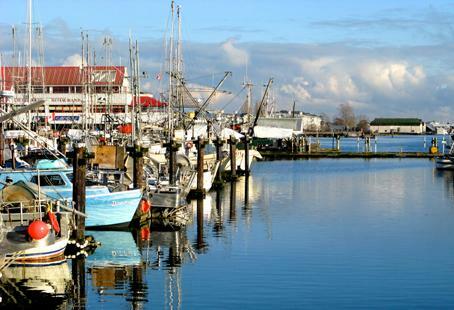 No visit to Steveston is complete without a stroll down the wharf to take in the fresh sea breeze and harbour views. Meander down the dock to buy fresh fish and seafood off the boats. Grab an ice cream or frozen yogurt from Timothy’s, or enjoy the sunset from the deck at the Blue Canoe Restaurant. If you are looking for local accommodation, the Steveston Hotel is located right in town. 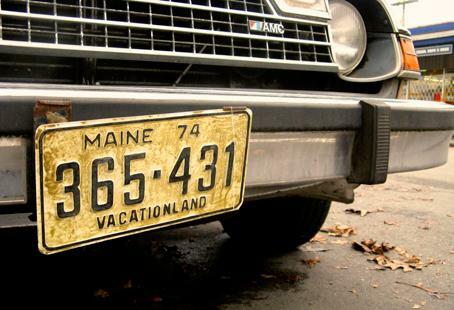 Keep an Eye out for Maine License Plates! While Steveston is a very popular summer destination, winter is also a great time to enjoy all this quaint fishing village has to offer. And if you keep your eyes peeled, you may just run into Prince Charming or Snow White!